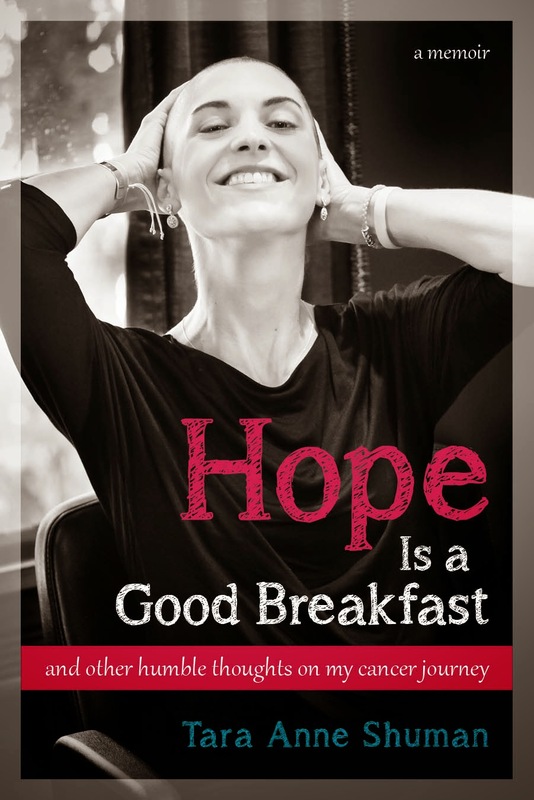 Hope Is a Good Breakfast - The Blog: Ice Buckets, Pink Ribbons, and Defining "Awareness"
Ice Buckets, Pink Ribbons, and Defining "Awareness"
Annabel is obsessed with Batman. Like obsessed. A few weekends ago, she dressed in her full Batman costume and ran up the street to see Teddy who was playing street hockey with a bunch of his neighborhood friends. When she came back all hot and sweaty, I asked her if she wanted to take her mask off. "No!" she yelled. "Then they will know it's me!" Oh honey, trust me, they know it's you, I murmured quietly to myself. Annabel hates pink, and once when I asked her why, she explainted emphatically, "Batman nev-o we-as pink!" She had a point. Teddy is ambivalent about Batman, although he smiles at his little sister’s Batman-related quirks. It’s a sincere, sweet smile that makes me want to hug him and never let go. Contrary to Annabel, Teddy is happy to wear pink. He’s acquired a good number of breast cancer related t-shirts and he sports them without a second thought. In fact, last night he went to bed in this, completely unaware of the fact that I had already drafted the beginning part of this blog. As the photo indicates, Teddy has a quiet love of the pink ribbon. He sleeps next to the pink ribbon blanket that my friend, Lynne, knitted for me after my diagnosis and whenever he colors a picture, it almost always includes a pink ribbon. Even after two years, his pink ribbon drawings always catch me off guard. What do they mean to him? I wonder. Maybe I should ask. This will be my third October since being diagnosed with the disease to which the month now seems to be dedicated. The first October after my diagnosis, I embraced all the pink. At the time, I felt nothing but (1) fear (I would begin chemo that month and, on October 31, have my terrible reaction); and (2) gratitude (any and every display of support for breast cancer felt life-saving-ly personal). Last October, I was so distracted by the weight and complexity of ending my infusion treatments that I didn't pay as much attention to Pink-tober. I just kind of went with it. This year, however, I have been noticing each and every pink ribbon. And there's no doubt, I've evolved in my thoughts and feelings on them. Now when I see “October pink,” I am not immediately grateful (nor immediately anxious). Instead, I am curious. How much money does the NFL donate to breast cancer research or patient care when its teams are decked out in pink? When the Prudential building lights up pink, how much does that electric bill cost? Could the money be better spent elsewhere? What kinds of conversations are parents having with their kids who, for the first time, become aware of all the pink and begin to ask questions? Do they struggle like I do with how much truth is too much? What does a lung cancer patient feel about the month? Or a patient with a rare form of sarcoma? Is the former bitter that few know that November is lung cancer awareness month? Is the sarcoma patient deflated by the reality that there may never be a month dedicated to that disease? What is “awareness” anyways and is it useful if people do not move beyond simply knowing? The question is not new to me. In fact, at the end of last summer, I heard a lot of chatter on this topic when the Ice Bucket Challenge lit up social media. Brian, the kids, and I participated in the Ice Bucket Challenge early on and when I posted our video as my brother-in-law had instructed me to do, I figured that no one would understand what the heck we were doing and why we were doing it. But Brian and I had lost a friend to ALS just a few months prior and we were immediately drawn to any effort to help spread the word about the horrific disease. To be honest, Brian and I didn’t do the Ice Bucket Challenge within the 24-hour time frame that was prescribed and we didn’t make a donation to the ALS Association, either. We recently had donated to our late friend’s foundation and we felt that we couldn't afford any more. Even typing that, however, I wonder if we should have donated, or if we should donate now. Maybe we missed the whole point of the Ice Bucket Challenge. Or maybe not. While Facebook exploded with videos of adorable kids and famous people dumping ice water over their heads, I noticed a post by the friend of a friend. This woman had lost her mother to ALS and she explained how hard it was for her to see people laughing and enjoying the Challenge while she knew all too well the disgustingly tragic reality of the disease. She was fair and balanced and sad in her post. She did not suggest that people should refuse to participate in the Challenge. She just wanted to share her perspective on it. She wanted to remind people that ALS was not fun or cute. It was a brutal disease that had stolen her mother's pride and her presence. I remember thinking how brave this woman was to post what she did; that she would probably get crap for being a "downer" on an otherwise uplifting social phenomenon. But I thought then and I think now that posts like this woman's are at the heart of real awareness. And quite impressively, the Ice Bucket Challenge had paved the way for that sort of information to be shared. The Challenge had inspired people to ask questions, to learn more, and to donate money to a cause they otherwise may not have considered. Sure, maybe some people just dumped the water on their heads and uploaded the video. But others went one step further. It's that one step that is key. To me, this October, well-intentioned displays of pink are nice, much like the Ice Bucket Challenge was entertaining. But real awareness involves having the courage and taking the time to learn about the stories that leave us thinking rather than just smiling. When it comes to being more aware of the realities of breast cancer, I would strongly encourage you to read Lisa Bonchek Adams' blog linked HERE. My friend and fellow survivor sent this to me yesterday and while it was extremely difficult for me to read, I'm glad that I did. Ms. Adams deserves her voice to be heard. Like Pete Frates does. To me, awareness doesn't end with ice buckets or ribbons or even donations to a good cause. Listening to Lisa Bonchek Adams explain what it feels like to live with a disease that is likely going to lead to her physical demise. #ALSfunfact #1: My salivary glands do not regulate amount of saliva that enters my mouth. I use a suction machine 20-50 times a day...fun! #ALSfunfact#4: For two years I have needed a grown man to fully dress and undress me head to toe. Every. Single. Day. Awareness is about seeing beneath the surface. Seeing that advanced stage breast cancer does not always look like a bald woman at the supermarket. Instead, it may look like a woman with a full head of hair asking the store clerk to pack the bags lighter. Awareness is about knowing that a cancer patient's bones start to break once cancer has metastisized there. And that people with ALS don't take salivary glands for granted. Ultimately, awareness is about lightening another person's burden. And the awesome thing is that that can be done anytime, including while soaking wet from ice water, while wearing pink in October, or even...while dressed as Batman.